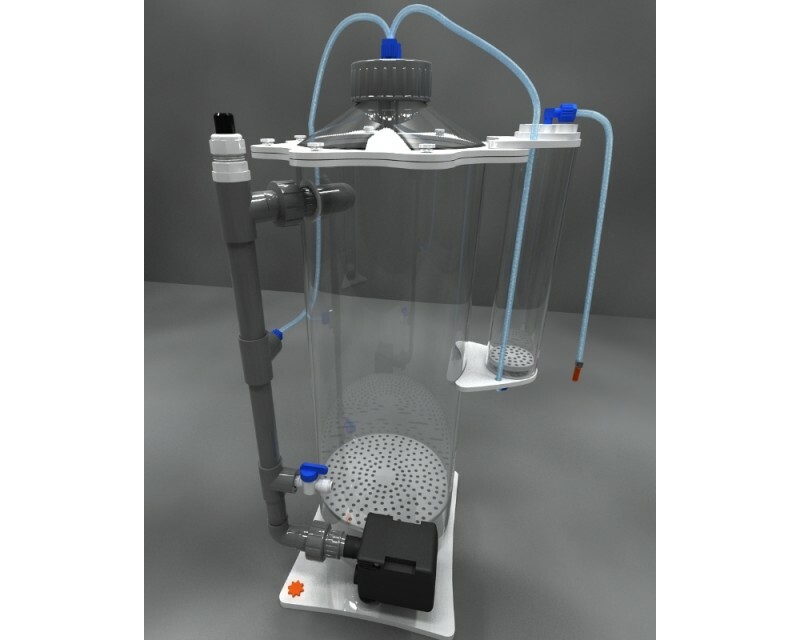 The Skimz E-Series NM202 Nitrate Reactor has a chamber diameter of 200mm and is ideal for aquariums up to 2,500 litres. The NM202 is filled with sulphur beads which serve as food and growth substrate for the anaerobic bacteria. With the Water Swirling Chamber (WSC) and recirculating design, these make the NM202 very efficient nitrate removal. As it includes Effluent Chamber, the pH is fully buffered and enriched with calcium media before being returned to the tank. The NM202 should be provided with water from the aquarium either from a separate feed pump or gravity feed.